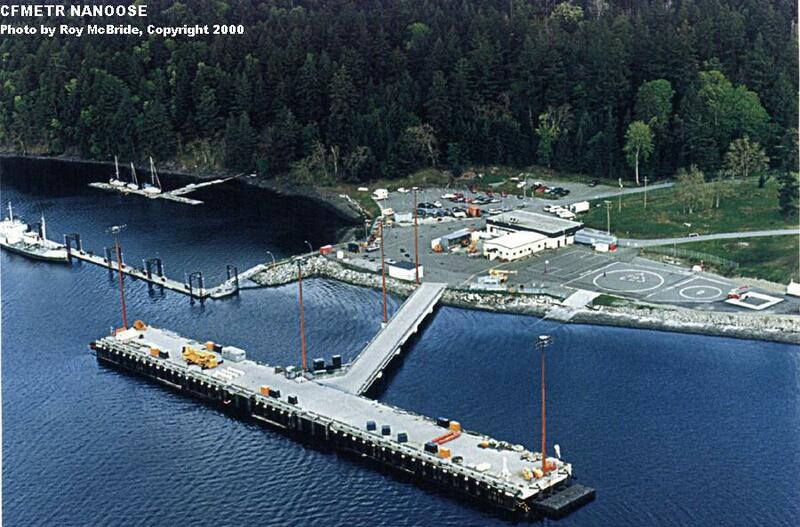 Canadian Forces Maritime Experimental and Test Ranges (CFMETR) Nanoose, British Columbia, is Canada's primary underwater test and trials facility. 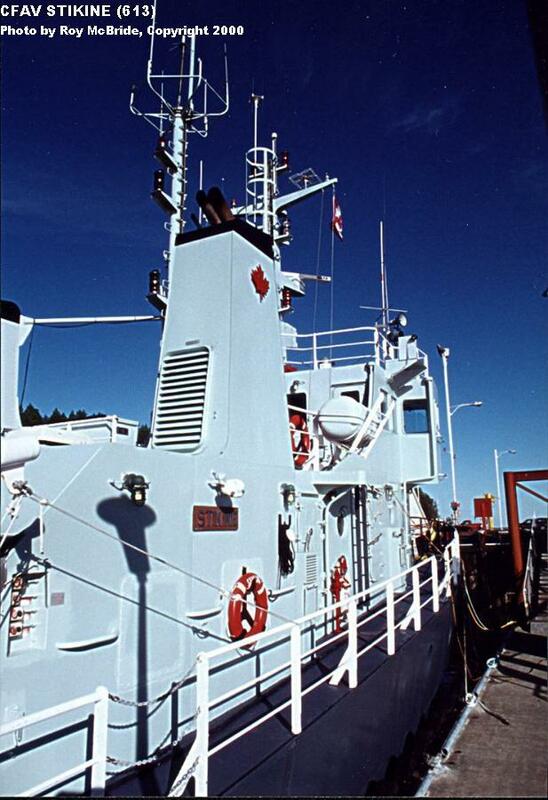 The Nanoose Bay test ranges conduct a variety of testing, including torpedo and sonobuoy tests, ship and submarine acoustic trials, and sonar testing. The range supports both operational readiness testing/training and research and development testing. The range conducts only non-destructive testing, with dummy warheads, and all torpedoes are retrieved for later reuse. 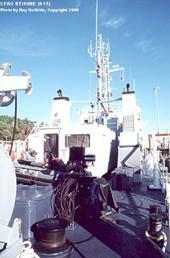 While the range primarily serves the Canadian Navy, various foreign navies also use the facilities, especially the US Navy. 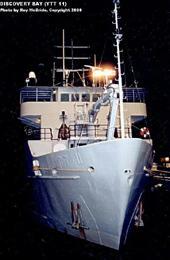 During October 2000, Roy McBride was given the rare opportunity to photograph not only the Nanoose Bay facilities, but also the submarine HMAS Collins, which was undergoing trials on the range. This Photo Feature presents the photos of the Nanoose Bay facilities; there is also a separate Photo Feature showing photos Aboard HMAS Collins. We wish to extend a special "Thank You" to CFMETR Nanoose for making this feature possible. 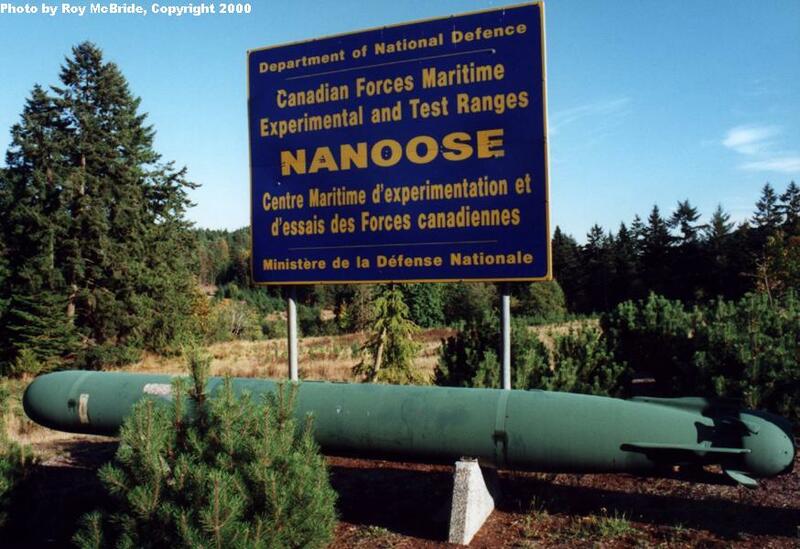 Welcome to Nanoose Bay, and one of the torpedoes on display at the range. An overhead view of the CFMETR Nanoose buildings and piers. DND Photo. 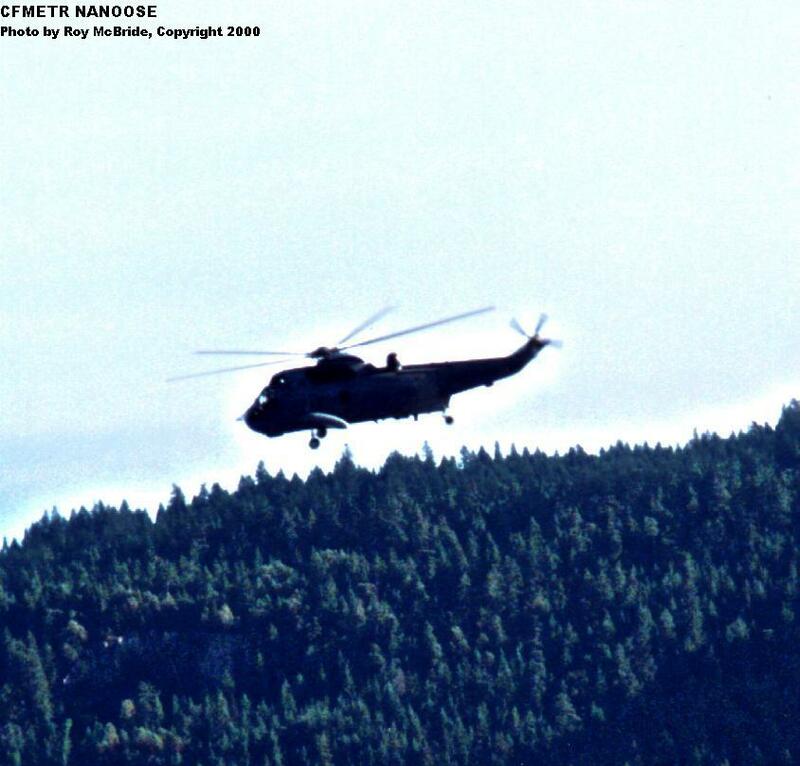 A CH-124 Sea King helicopter flying over the Nanoose Bay facilities. 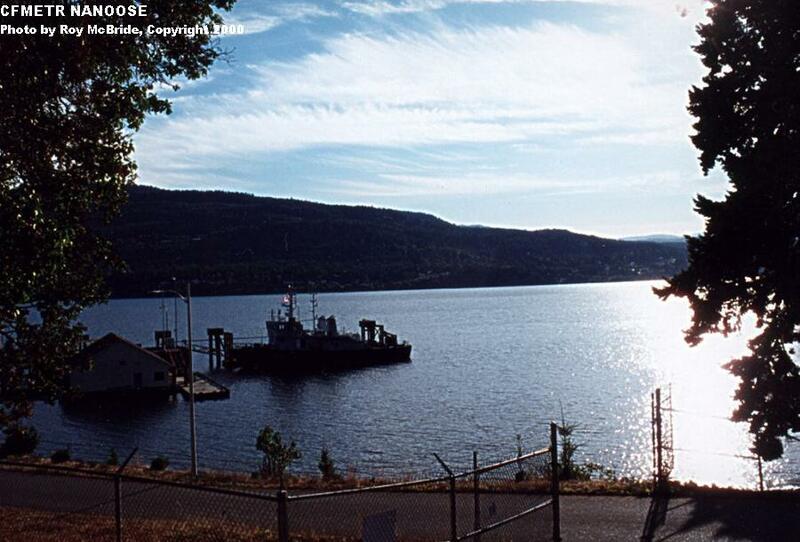 A view over the Nanoose Bay piers at sunset. 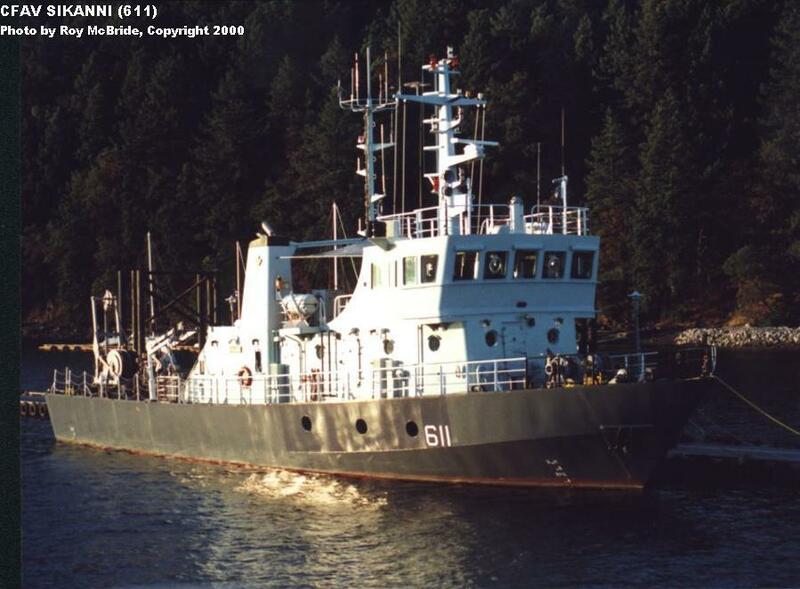 CFAV Sikanni, one of two test range support vessels based at Nanoose. 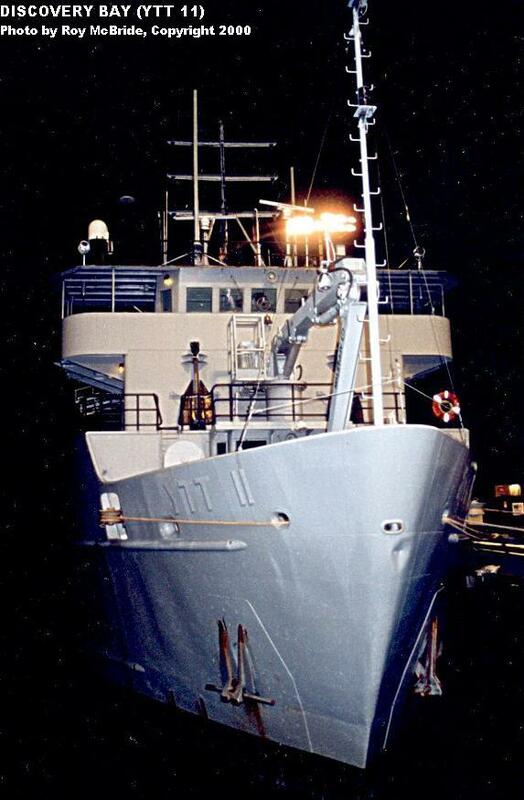 These vessels are used to deploy and recover range instrumentation, and to provide general test support services. 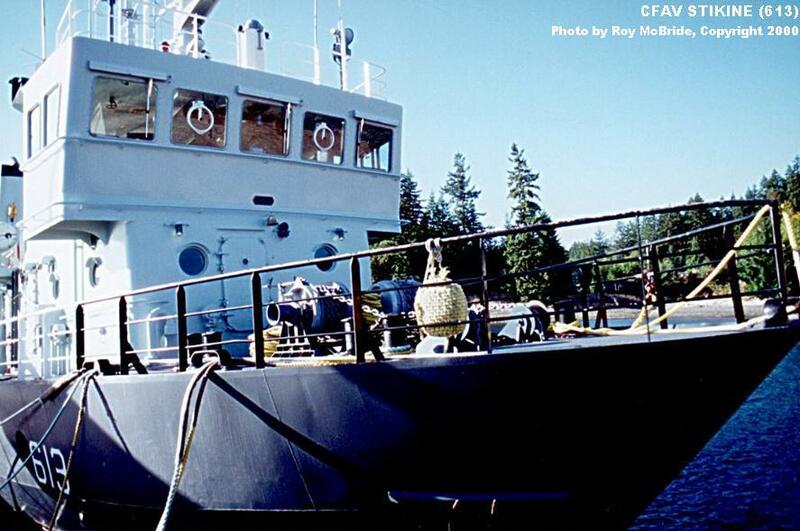 CFAV Stikine, the second test range support vessel at Nanoose. A close-up of Stikine's bridge. View along Stikine's superstructure, looking forward. 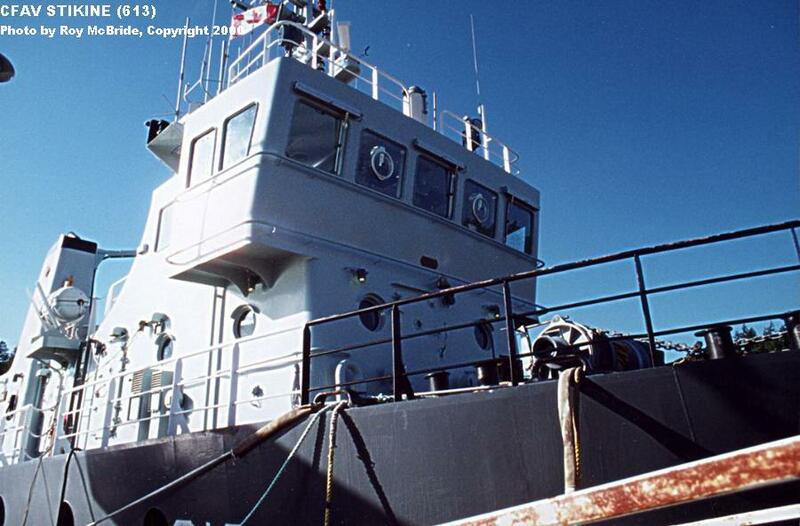 Stikine's aft deck, showing recovery equipment and the small utility boat carried aboard. 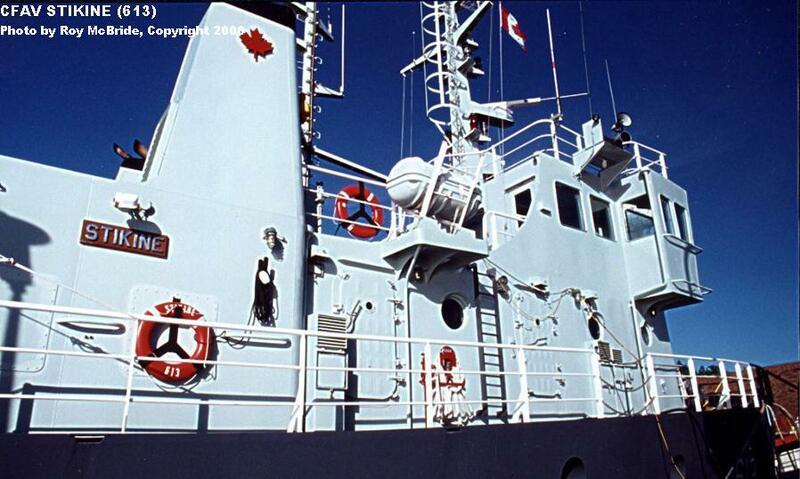 The crane, winches, and small boat aboard Stikine. 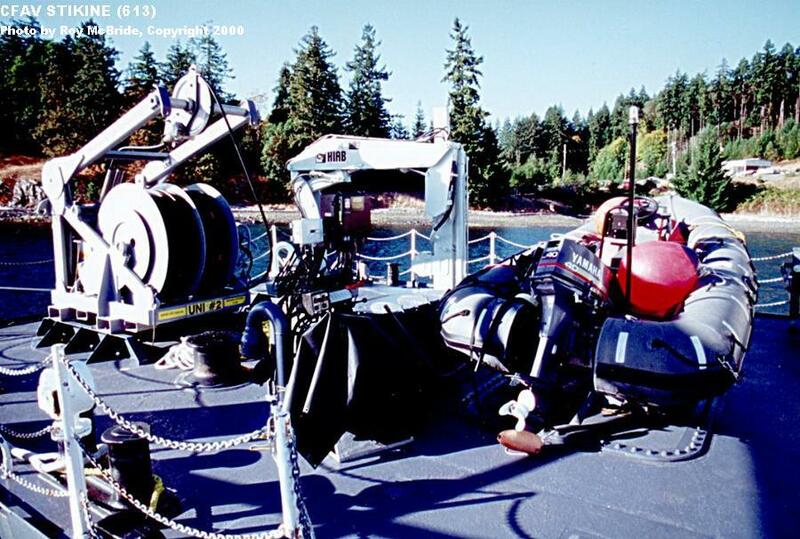 A US Navy torpedo trials ship, Discovery Bay (YTT 11) moored at Nanoose Bay. 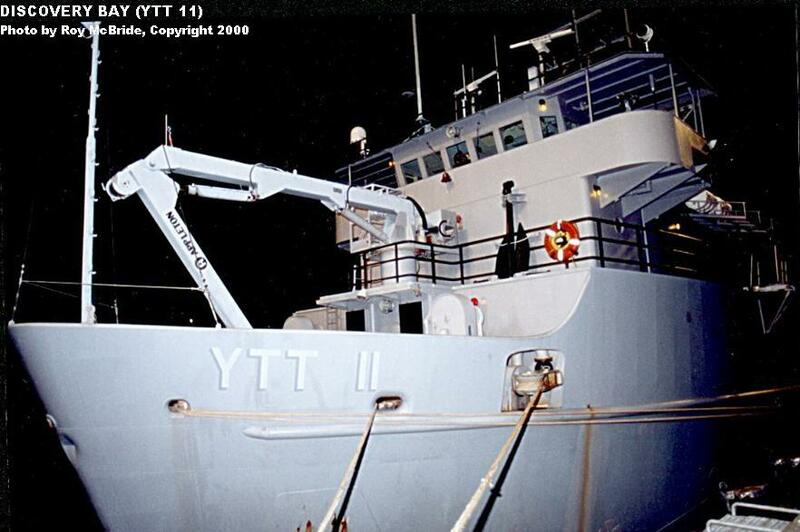 USN YTTs are routinely deployed to Nanoose. They are operated by the Naval Undersea Warfare Center at Keyport, WA. A second view of Discovery Bay at Nanoose. Copyright © 2000, Andrew Toppan. All Rights Reserved. Photos Copyright © 2000, Roy McBride. All Rights Reserved.